Good air ventilation within our homes is vital to our physical and psychological health. That's because, if not taken care of properly, indoor air pollution can actually be more dangerous than the atmosphere outside your home. So, what is a solution to improving your home's air ventilation? 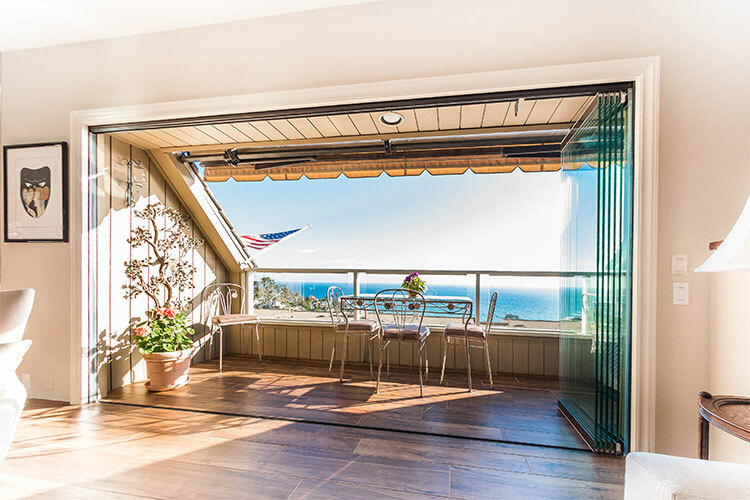 Frameless sliding glass doors and windows help to expand the opportunities for inviting the health benefits of sunlight and clean air into your home. Our pioneering ancestors spent their time outdoors tilling fields, and working forges where they made their agricultural tools until a century or so ago. While they may not have enjoyed the idyllic country life in movies, our bodies do need fresh air and sunshine. Shutting ourselves inside with artificial atmosphere is not what evolution intended for us. When we throw our doors and windows open, we invite these seven great benefits to our homes. By allowing them to perform their natural function. Without our lungs we could not speak, or live for long. Welcome the Outside In™ and give your lungs the treat that they deserve. More sunshine and air circulation cuts down on condensation and reduces yucky mold. Chase away the germs lurking in dark corners. Welcome fewer chest infections, allergic reactions and coughs that won’t go away. Healthy families are happy ones, and with good air ventilation we cleanse indoor air pollution so that unhealthy toxins can escape. By exposing them to nature. A report by the CDC details how freedom to move about outdoors increases kids’ cognitive and emotional health. Create indoor-outdoor flows with sliding glass panels. See happiness happen before your eyes. Enjoy your home even more. Radon is a colorless, odorless naturally occurring radioactive gas that accounts for 20,000 lung cancer deaths each - this according to the US Environmental Protection Agency. Radon is a result of the nature decay of uranium in rocks and soils, and is dangerously prevalent in many Southern California communities. Homes near caves, cliffs and igneous rocks should pay close attention to their radon gas levels. The good news is, with adequate home ventilation, the chances of your home cultivating these toxic gases are much lower. When we cool our homes naturally with breezes drifting gently through the rooms. Blissful silence arrives without the fans and we can hear our favorite music as the performer intended. We also reduce our load on the national grid. That’s good news for everyone. Additionally, when we add fresh air to confined spaces, we make the home instantly more comfortable - making for a more productive living experience. When your home's atmosphere contains more moisture than it can hold, condensation quickly begins to build. 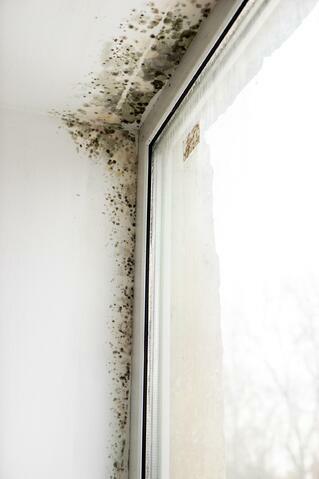 This leads to unsightly, expensive consequences such as mold and rotten surfaces. A home with a good air ventilation system reduces damp conditions as well as the potential of health problems that may affect allergies and respiratory. The way nature intended us to. Don’t we just love exploring cityscapes on foot, and hiking through the great outdoors while we are on holiday? Why make an exception while at home? Open up your home with sliding glass panels. Feel change happen. Thanks to the blessings of the happy chemical serotonin. Our bodies make it naturally and they release it when we are thinking happy thoughts. Studies have shown that serotonin production can also be linked to skin exposure to sunshine in regards to seasonal affective disorder (SAD). Sunshine really does make you happier. Of course, these are not the only benefits of having good air ventilation at home. In fact there are many more benefits besides. Our rooms are fresher, brighter and appear more spacious. Interestingly enough, they can seem more modern too. By adding sliding glass panels at strategic points, you could add huge value to your home investment. While not directly correlated with good air ventilation, homes without large windows are significantly more likely to become a "sad home." By allowing the sunshine to beam in, especially in winter when we have more cloudy days, our wellbeing undoubtedly improves. When sunlight brushes on our skin, a magic formula begins. Vitamin D grows healthy bones for kids while also making adult joints and muscles stronger. Your target daily intake should be around 400 IU/day (100 mcg), but without allowing the sunshine into your home, it's unlikely you will achieve these levels.